When Rockwell Tools introduced its very first Sonicrafter more than a decade ago, no one could’ve predicted how wildly popular oscillating multi-tools would become. 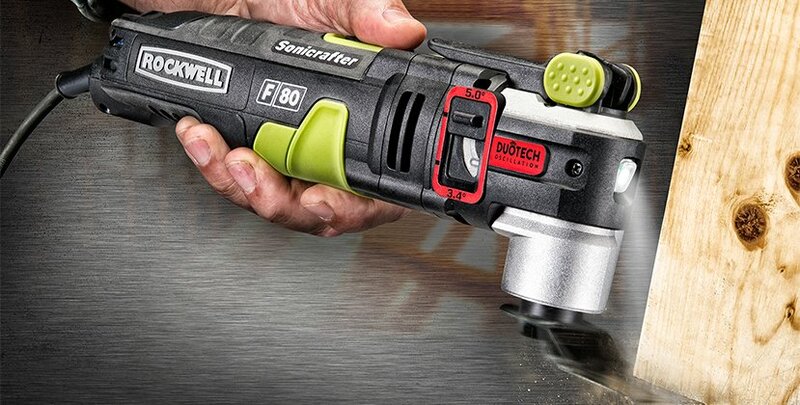 Today, this super-versatile portable power tool is a first-choice favorite among professional contractors and DIY homeowners alike. And that’s not surprisingly when you consider that multi-tools provide a quick, clean way to saw, scrape, sand, and slice through virtually any building material, including wood, metal, drywall, cement, mortar, plastic, asphalt shingles, and fiberglass. However, a multi-tool is only as effective as the accessory being used. Therefore, to get the most out of your multi-tool and to produce the best results, you must use high-quality, long-lasting accessories. 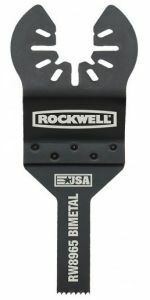 Rockwell recently expanded its line of Universal Fit accessories, and now offers more than 50 different saws, blades, rasps and scrapers. These pro-duty accessories perfectly complement Rockwell’s line of Sonicrafter multi-tools, including its brand-new, state-of-the-art Model F80, but they fit onto any other brand of oscillating multi-tool. Note that the accessories are sold individually or in economical multi-piece kits, including three-, five-, and 10-piece kits. Rockwell also sells a 27-piece kit (Model RW9178K) that contains a broad assortment of accessories for sawing, sanding and scraping. 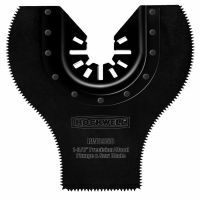 This bi-metal 3/8-in.-wide plunge-cut blade (Model RW8965) is ideal for making small, precise incisions in solid wood, plywood, fiberglass, sheet metal, and plastic and copper pipes. 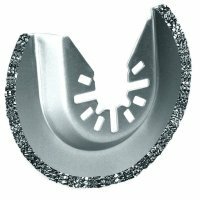 The durable cutting edge of this 1 3/8-in.-wide plunge-cut blade (Model RW8963) is armed with tungsten-carbide teeth for making the toughest cuts in tile, cement backer board, metal, pipes, nails and hardened screws. 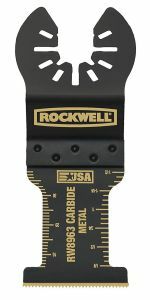 This unique plunge-cut wood blade (Model RW8958) has precision-ground, beveled teeth along its 1 3/8-in.-wide front end, and also along its two curved 3-in.-wide sides, allowing you to plunge into a surface and then cut to the right or left. Use to saw through wood, drywall, plastic and other non-metal materials. Measuring approximately 1½ in. wide x 2¾ in. long, the finger-sanding pad (Model RW8941) is made of rigid metal and is equipped with a hook-and-loop surface that accepts abrasive sheets. 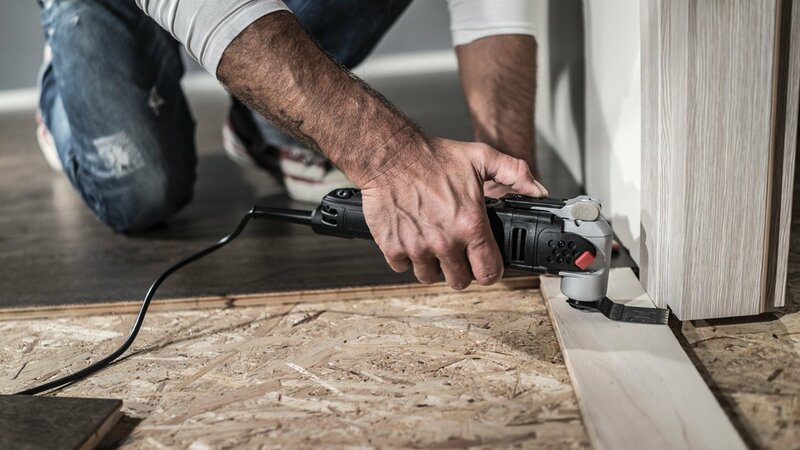 It’s ideal for sanding in tight spaces, corners and narrow openings. Attach the felt polishing pad (Model RW8940) to your Sonicrafter multi-tool and use it to quickly, effortlessly polish chrome, gold, silver, brass, stainless steel, granite and many other smooth, hard surfaces. 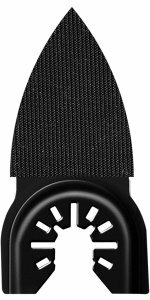 The surface of the rough-and-ready Rockwell finger rasp (Model RW8924) is coated with extra-coarse, super-hard tungsten-carbide grits. Use this aggressive accessory to clean surfaces and smooth rough spots on wood, mortar, hardened adhesives and masonry materials. 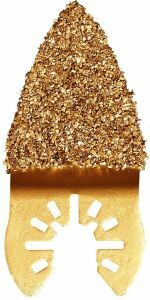 Put the world’s hardest mineral—diamonds—to work for you with this diamond-grit blade (Model RW8926). 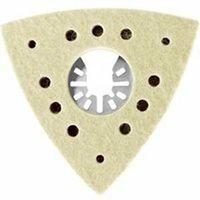 Use it to grind, etch, score, and notch a wide variety of hard, resilient materials, including stone, tile, cement backer board, plaster and grout. 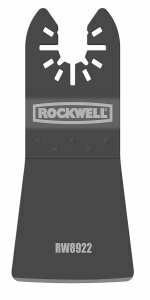 Say goodbye to tedious hand scraping with the Rockwell flexible scraper blade (Model RW8922). Mount the 1¾-in.-wide x 3½-in.-long steel blade onto your Sonicrafter multi-tool and use it to quickly scrape up hardened mastics, blistered paint and old wallpaper. Its beveled end is also great for slicing carpeting, leather, linoleum and other thin sheet goods.